ASBURY PARK, N.J. — A New Jersey mother is facing a first-degree murder charge and her boyfriend a desecration of human remains charge after the woman allegedly killed the baby shortly after birth and then later decided with her boyfriend to dispose of the baby in a dumpster. According to reports, Jada McLain, 18, hid her pregnancy from her parents for months. A friend who turned McLain into police last week said that McLain had attempted a self-abortion by drinking, smoking marijuana and taking pills, but her efforts were unsuccessful. She considered going to an abortionist, but thought parental notification was required and didn’t want her mother to find out. 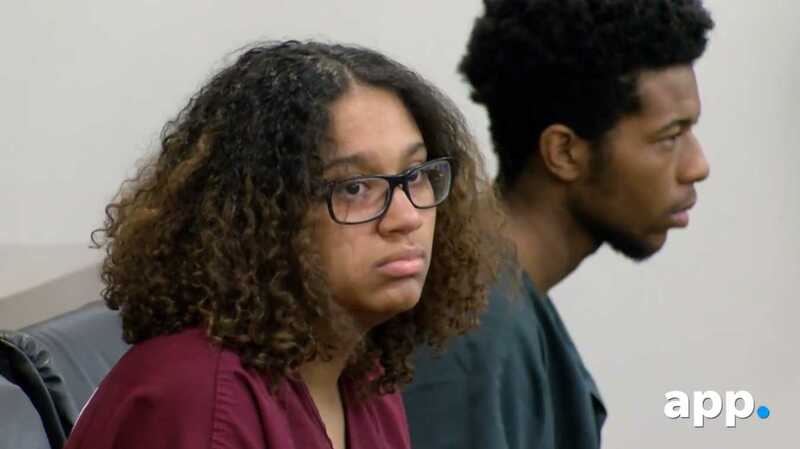 McClain and her boyfriend, Quaimere Mohammed, 19, consequently discussed what they would do after the baby was born, with an option being to kill the child. In the early morning hours of March 29, McLain gave birth to a baby boy in the bathroom, took a shower to clean herself and the infant off, and laid the newborn, who was alive and crying, upon her bed. She then allegedly pushed down on her son’s chest until he turned blue and died. McLain named the child Legend, and sent her friend photographs of the newborn from her bedroom. According to NJ.com, McLain wrapped her deceased son in a blanket and drove to her boyfriend’s house. The two went to the beach to talk the matter over, and then returned to Mohammed’s house. After crying and talking for approximately two hours, they decided to place the baby in a bag and dispose of him behind an apartment complex in Asbury Park. KFSN-TV reports that McLain showed police the dumpster where the baby had been discarded. Surveillance video also captured the car driving up to the dumpster, with Mohammed getting out of the vehicle and placing a blue bag inside. The teen’s friend reported the incident to the police on April 4, and both McLain and Mohammed were arrested. NBC New York reports that McLain’s parents were in shock, both that they had lost a grandchild and in witnessing their daughter being arrested. Family members held each other and cried as they gathered in the courtroom. She said that the baby looked like Mohammed and his face was etched in her mind. “I’m always going to regret what I did till the day I die,” McLain texted. New Jersey has a Safe Haven law that allows for mothers to safely surrender their newborns at a local hospital, police station or fire station without prosecution.